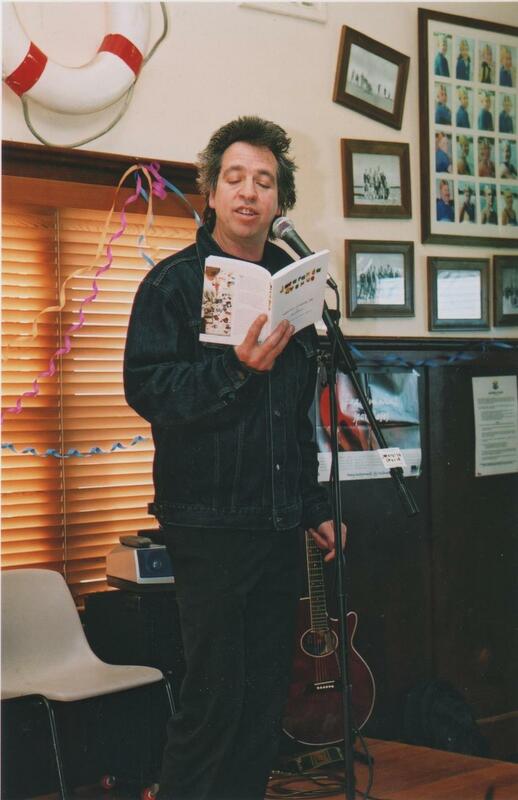 Brian Nankervis at the launch of Jacaranda Avenue. September 2003. All photos by Sharon Jones. 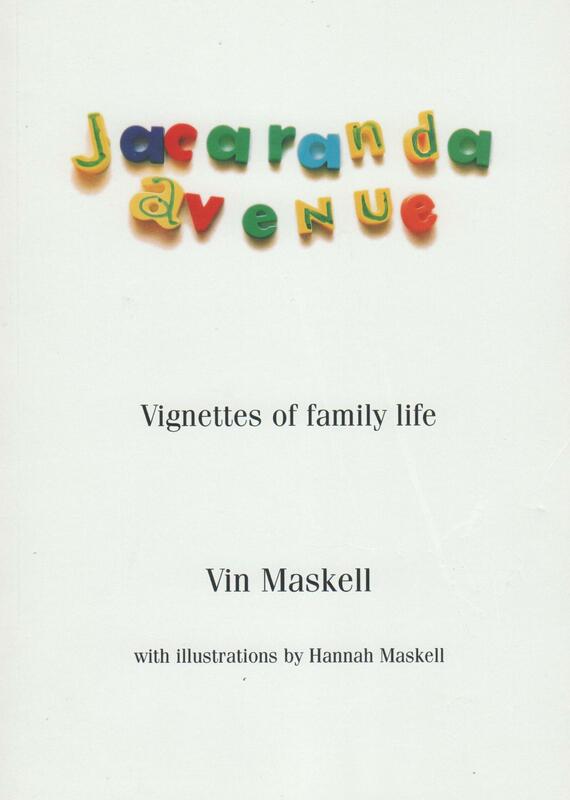 It’s just over ten years, September 2003, since I launched my book Jacaranda Avenue at the Williamstown Swimming and Life Saving Club. 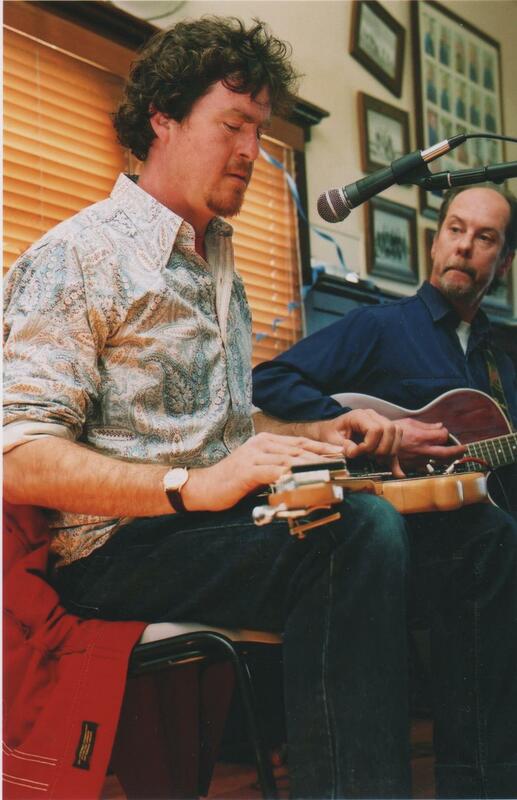 My brother Peter, accompanied by Mark Ferrie. 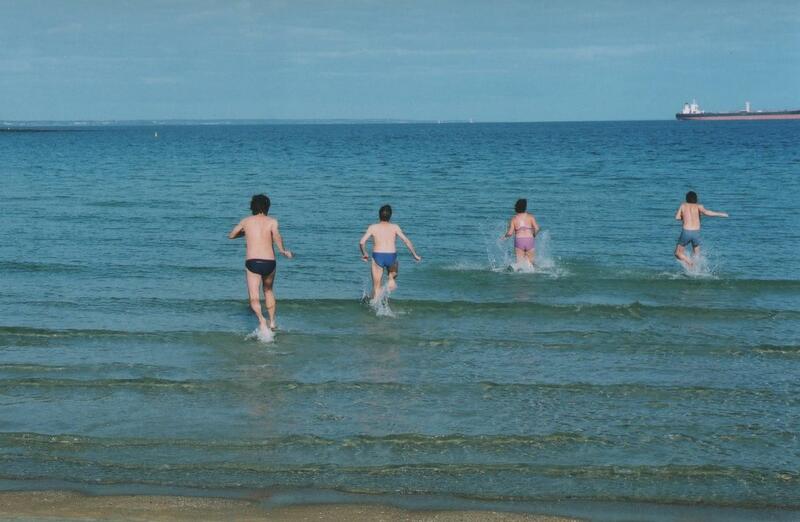 A celebratory dip with Brian Nankervis, my sister Louise, and local swimmer (and drummer) Ash Davies. While the book – a collection of 30 family and suburban stories illustrated by my daughter Hannah – didn’t exactly set the publishing world on fire, we had a very enjoyable afternoon in the clubrooms, on the beach and in the water. I’ve still got a few copies left. Let me know if you’d like one.